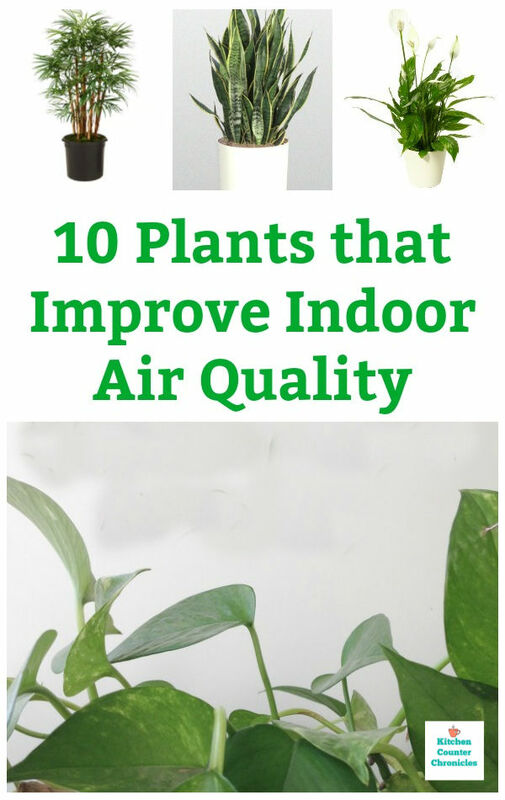 Did you know that plants have an incredible ability to clean our air? In an attempt to clean the air in our house, we have decided to put a plant in each room of our house. 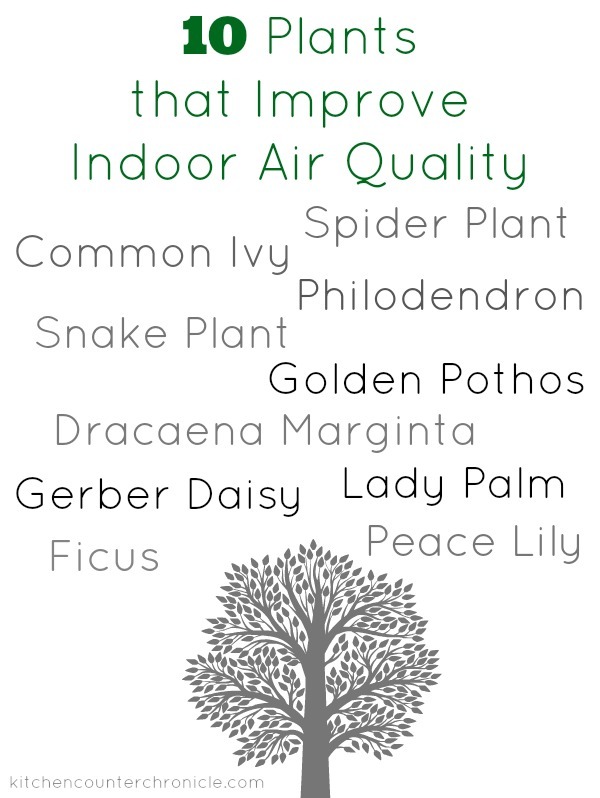 So, we have put together a list of 10 plants that improve indoor air quality. Think back to grade 7 science class. You may recall that a primary function of plants is “breathing” in carbon monoxide and expiring oxygen. Without this gas exchange we, humans, would not be able to exist. Aside from this incredible exchange, scientists have discovered that some plants have the ability to clean more out of the air. In fact, plants are able to remove volatile organic compounds (VOC) like formaldehyde and benzene from our homes. Most homes have VOCs which can be emitted from; paint, dry cleaning, cleaning products, glues, adhesives, building materials, printer ink, heated cooking oils, etc. While plants cannot remove all the VOC’s from your home, they can significantly reduce the concentrations in our homes. 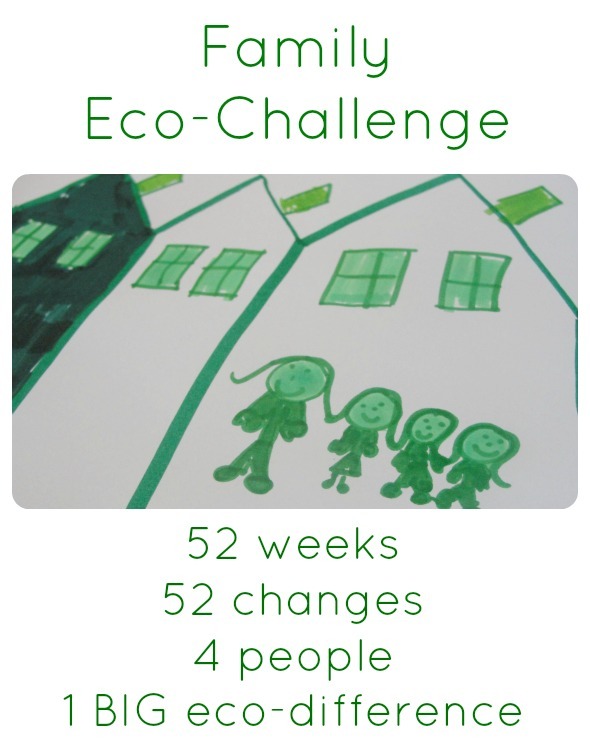 What a simple way to clean our air and improve our health. Ivy – Common Ivy or English Ivy – Ivy is an easy to grow indoor plant growing in various sun levels. Ivy’s broad leaves work to filter formaldehyde from the indoor air. Snake Plant – (Also known as Mother-in-Laws Tongue) This plant is a simple plant to grow and it is an excellent plant for boosting oxygen in your home. Golden Pothos – Again, the broad leaves of this vine help this plant filter formaldehyde, carbon monoxide and benzene from indoor air. Spider Plant – The spider plant is a super simple plant to grow indoors. The spider plant works to filter benzene and formaldehyde from the air. Peace Lily – The peace lily produces lovely white flowers, it requires a little more maintenance than the other air cleaning plants. However, the benefits are that this plant filters benzene and acetone from the air. Lady Palm – This slow growing and beautiful plant grows leaves that resemble an outreaching hand. Lady Palm filters ammonia from indoor air. Philodendron – Another of our household favourites, this easy to grow vine cleans VOCs, including formaldehyde from indoor air. Red-Edged Dracaena (Dracaena Marginta) – This houseplant can grow quite tall, when place in a sunny spot. The red edges of each leaf give this plant its name. The Red-Edged Dracaena can filter the VOCs; formaldehyde, xylene and trichlorethylene. Gerbera Daisy – You might not think of the commonly cut flower as a houseplant, but they have powerful air filtering qualities. This sunny and bright flower cleans benzene and triclorethylene from the air. Ficus – A ficus plant can be a little tricky to grow…they like indirect sun and do not like overwatering or under watering. Once you get them happily growing a ficus will filter formaldehyde, benzene and tricloethylene from the air. 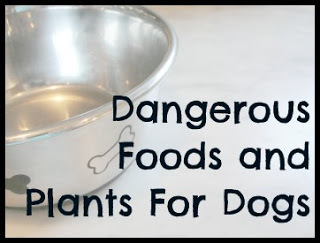 Take a look at this list of plants that are dangerous for dogs. 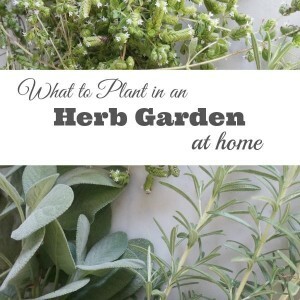 Discover what to plant in an herb garden.